Nominate Your Projects For The 2015 America’s Transportation Awards Competition! Nominations will be accepted between February 20th, 2015 and March 31st, 2015. 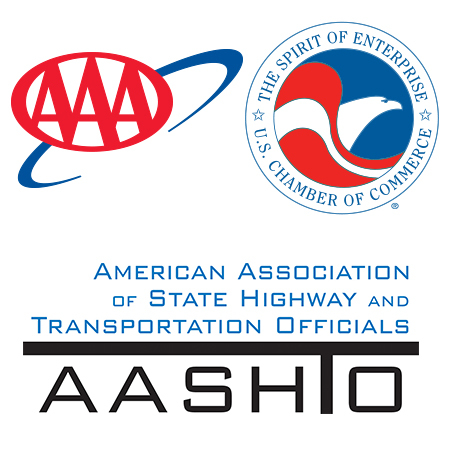 The American Association of State Highway and Transportation Officials, AAA, and the U.S. Chamber of Commerce will be accepting your nominations for America’s best transportation projects this year. Quality of Life/Community Development—projects that better connect people to their destinations and help grow communities. We are specifically looking for projects that enhance and support transit and non-motorized transportation. Within those categories, projects are divided into three size groups: large (more than $200 million), medium ($26 million to $199 million), and small (less than $25 million). Projects first compete on a regional level (with regional winners announced throughout the summer), after which the 10 projects with the highest scores move on to compete for the national Grand Prize and the People’s Choice Award. The winners of those two top prizes are announced at the AASHTO Annual Meeting, held September 2015 in Chicago, IL. Projects must have been substantially complete and open to use between Jan. 1, 2014 and Dec. 31, 2014, to be considered in this year’s contest. Questions may be directed to Zach O’Connor at ZOConnor AT aashto.org or 202-624-5838.